The Bradford apartment building at the former Society Hill Playhouse site at 507 S. Eighth St.
Real estate investment firm Dalzell Capital Partners LLC of Westport, Conn., has acquired four central Philadelphia rental properties, including the apartments built at the former Society Hill Playhouse site, for $18.7 million from locally based developer Alterra Property Group. The properties, comprising 65 units, consist of the Bradford apartments at the former playhouse site on South Eighth Street, between South and Lombard Streets; Queen Village Lofts, in a former school building on Monroe Street, near Fifth Street; and two converted townhouses on Spruce Street between 13th and Juniper Streets, Dalzell said in a release on Monday. 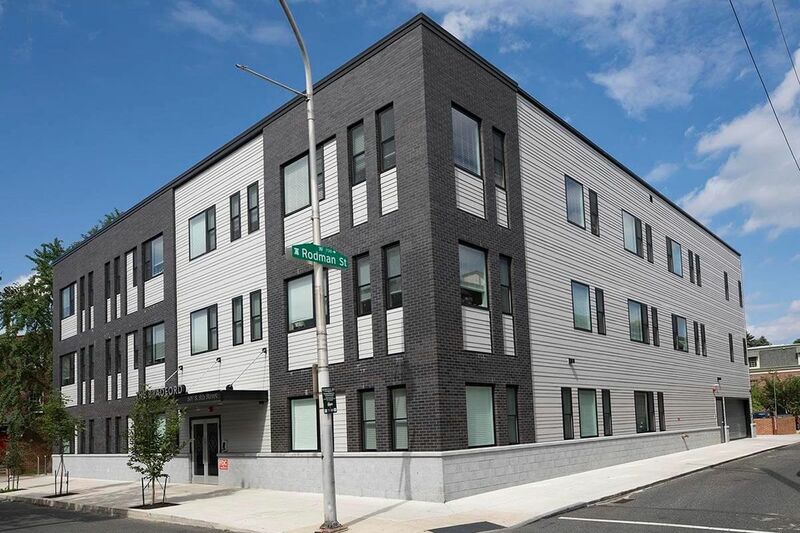 The buildings add to the firm's rapidly growing portfolio of Philadelphia rental buildings that it began assembling about one year ago. It now owns seven properties totaling 192 units and 8,500 square feet of commercial space citywide, it said in the release. Other recent acquisitions include its $21 million purchase in June of the 62-unit Waverly Court apartment building on 13th Street between Pine and Ludlow Streets, which has the Amis Trattoria Italian restaurant as a ground-floor tenant.